This is the website of the Worcester County Numismatic Society in Central Massachusetts. The WCNS is a not-for-profit coin and currency club, and all are welcome. We have members from all over Massachusetts, and nearby in Connecticut. We hold 10 regular meetings per year. 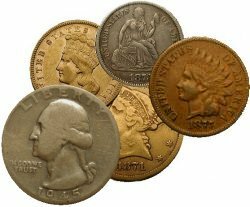 Our members run the entire spectrum from the casual collector to the serious collector, of U.S., Foreign, and Ancient coins, plus currency as well. We also have an excellent Young Numismatists (YN) program. Please join us for a meeting and check us out! Click the newsletter to the left for the latest issue. Meetings are held the second Friday of each month, except July and August. Our Monthly Newsletter is available online at this site. It contains the full meeting announcement, club news, and monthly Auction Listings. For past issues (beginning February 2011), please see the Newsletter Archives page. LOCATION: Our meetings are held at the St. Joseph's Parish Hall, 68 Central Street, Auburn MA. Directions and a map are posted here.